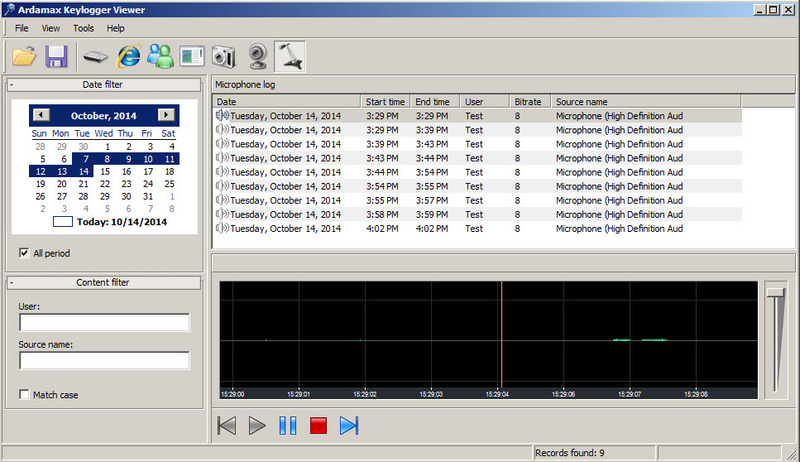 This program has a simple and easy to use interface and is able to record all keystrokes and clipboard (copy/paste), to take screenshots, to record the microphone, websites visited and applications used. Will not track emails received through email clients and web-based email, will not track attachments and the name of downloaded files, but will save all keystrokes and web addresses. 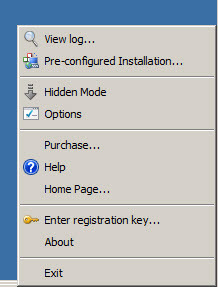 The reporting area includes a filter function to search quickly within saved logs In Hidden mode it is completely invisible and isn't detected by antivirus. 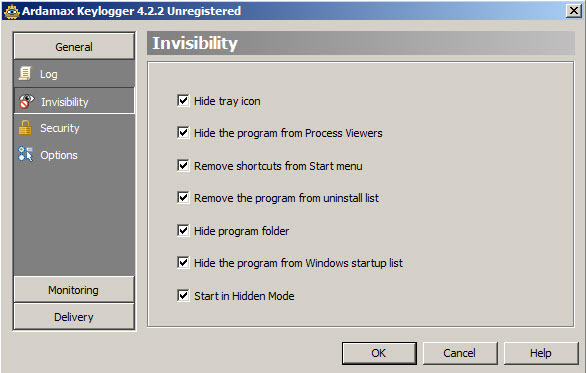 In Visible mode you can access its options, uninstall it etc. The program is able to record all keystrokes, text copied, addresses of accessed websites, it is also able to save screenshots of desktop at desired intervals, to take screenshots of webcam and to record audio files with sound from microphone. 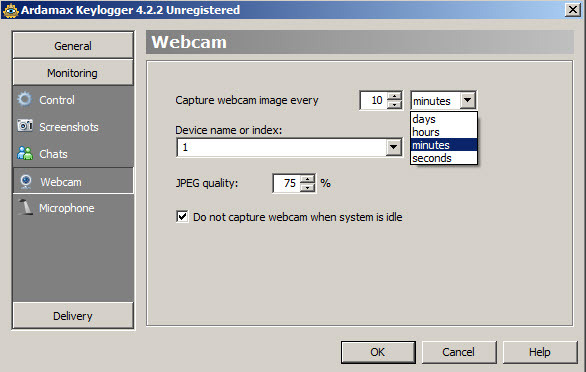 For screenshots, you can set different a custom level of image quality and enable it automatically on timer or at mouse click events (left, right, double click). 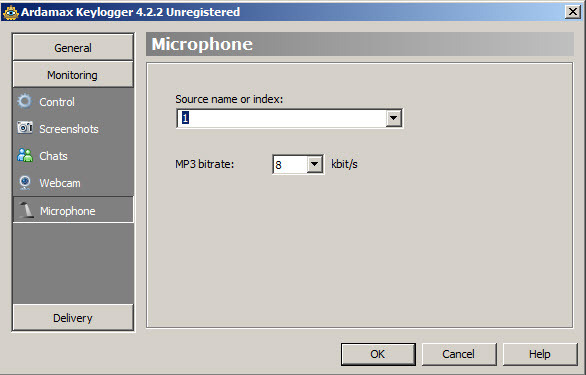 Audio recordings from microphone will be saved as MP3 files. 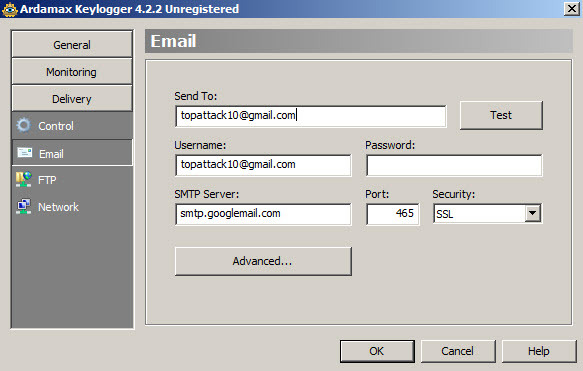 The application is able to send reports through email, upload to a FTP account or save it on a location from network. 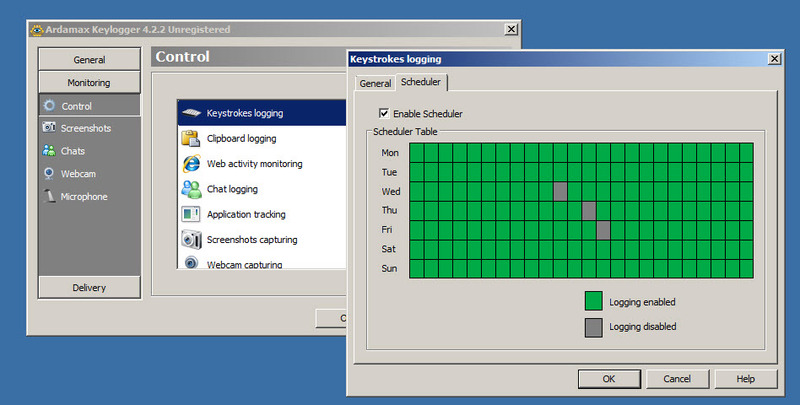 Reports can be sent at desired intervals and you can select what to include: keystrokes, webcam log, websites etc. 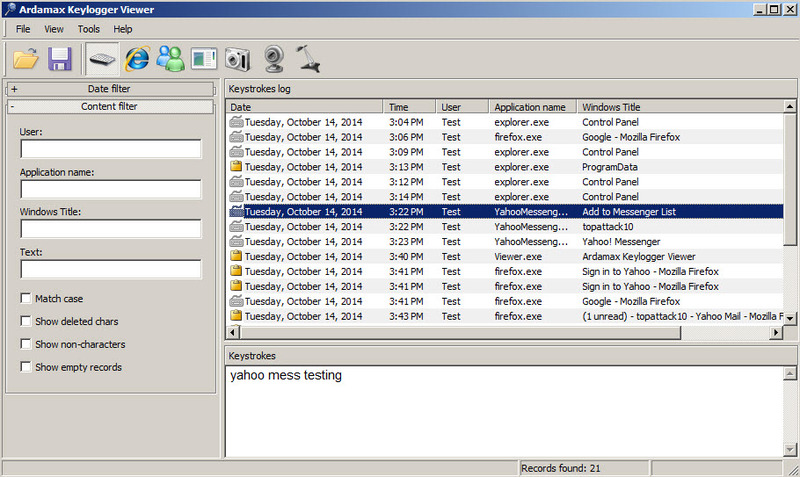 You can filter or search the logs by text, application name, windows title and other criteria. While running in hidden mode, the program has not been detected by our antivirus program (full scan and real-time protection enabled). 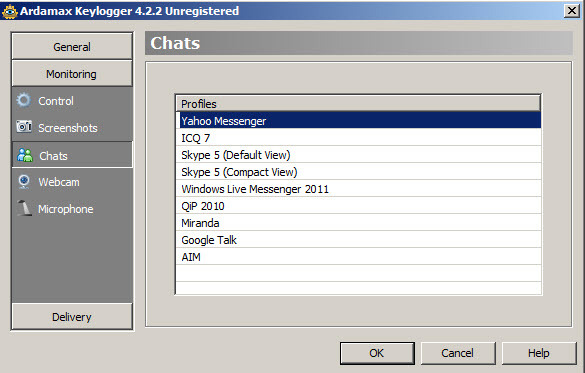 The Self destruct option allows to perform an automatic uninstall of this monitoring program. All traces will be erased. It can be used in stealth mode, will record all keystrokes and will take screenshots, but doesn't offer too many advanced options. The program has not been detected by our antivirus program and will run completely hidden on a computer. Is excellent as keystroke recorder.